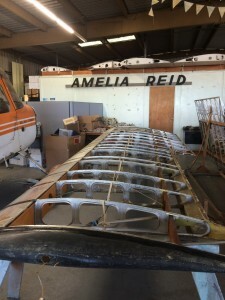 We at AeroDynamic Aviation love our Taildraggers. 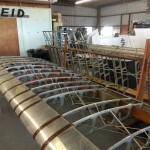 With 56 years in the business, we have become experts in tube and fabric aircraft. 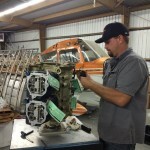 Vintage aircraft maintenance is a lost art we are striving to preserve. We offer aircraft maintenance and repair, tie-down, and fuel services. All of our aircraft are carefully maintained to the highest standards. Our airplanes have modern avionics and most have moving map GPS. Keep an eye out for upgrades as we are constantly improving our fleet! All our airplanes undergo 50 and 100 hour inspections to ensure they are always ready to fly. Our maintenance staff take pride in keeping our airplanes in great flying condition; safety and reliability are key. Maintenance logs are maintained for each airplane and are available for inspection. Our pilots are encouraged to talk to the mechanics about any questions they may have. 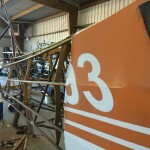 The long awaited restoration of Citabria N53893, one of our beloved 7ECAs, has begun and we are making great progress. With some extra help in the shop, the wings and tail feathers are ready for cover. We are working on the fuselage to prepare it as well. We hope to have a fully restored 893 out on the line by mid summer, so tune in for updates! Would you like us to look after your Taildragger? Call or email us!